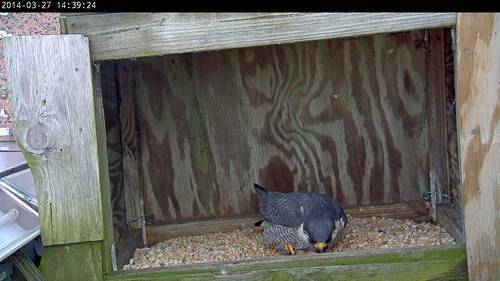 A second egg has been confirmed for the falcon pair. 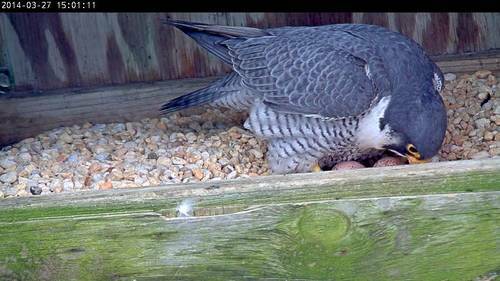 The egg was first noted on the early afternoon of March 27. Up until this point only one egg had been visible, so that it is likely that this is a new egg, rather than an egg laid several days ago as speculated in the previous post. 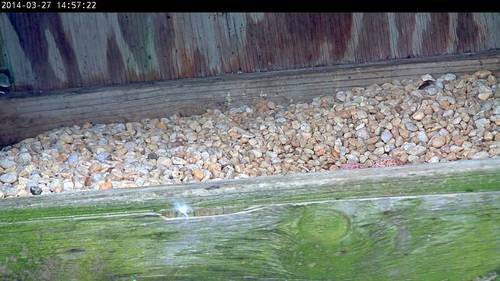 This new egg was likely laid sometime on March 26.